1. Develop a shelf-ready project for financing and starting construction late in 2017 or beyond. estimates broken down for all its major components and constituent elements. Committee (WSC), and the general public. 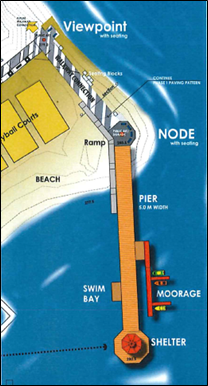 Proposals must be received at Planning and Development Services no later than 2:00 pm on Wednesday, March 1, 2017 in a sealed envelope clearly marked “Gyro Park Pier & Foreshore Walkway Final Design”.